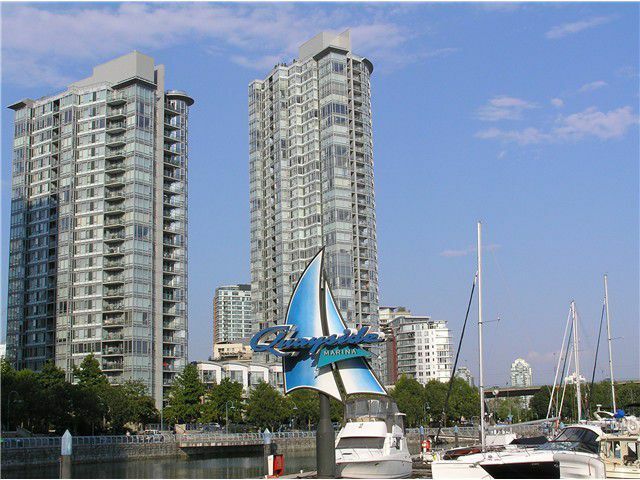 Enjoy luxury of waterfront living in a quality bldg by Concord Pacific. Upper floor bright NE & E facing suite boastsfloor to ceiling windows displaying spectacular city, mountain & unobstructed water views of False Creek from living room.Updates engineered hand scraped hardwood floor,paint, new walk-in closet built-in shelve,new drop blinds curtains,balconyfloor wood deck tiles,granite counters, stainless steel appliances, gas stove, in suite laundry, 1 parking & locker. Just stepsfrom seawall, next to trendy shops & restaurants in Yaletown. Building offers 24hr concierge, resident caretaker, courtyard,indoor pool & sauna, steam room, fitness centre, media/theater room.